AFTER Picture of the Kitchen Remodel in Fairfield, CA. Cooks Kitchen and Bath took all my kitchen ideas and transformed them into a beautiful kitchen design for my home. I am very pleased with the quality and workmanship. I love cooking on my new Wolf Stove. The under counter lighting highlights the Travertine floor and sets off the kitchen remodel beautifully. 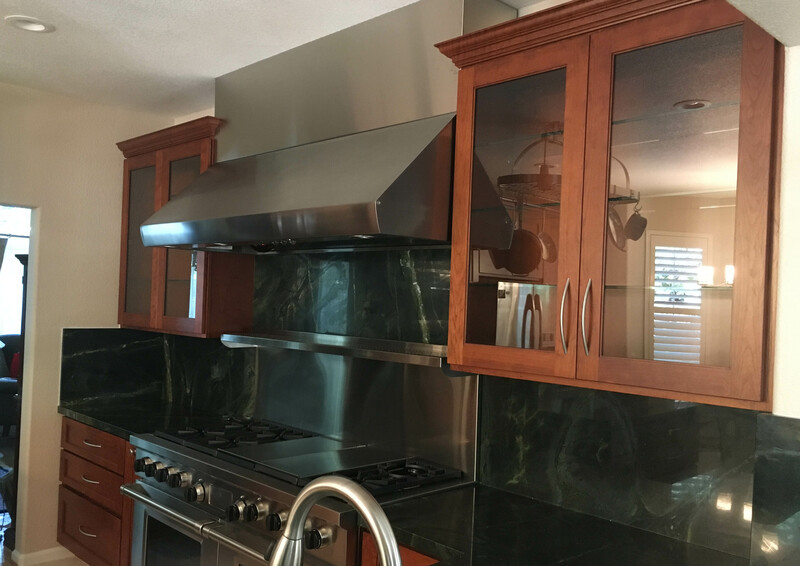 The kitchen remodel plan, process, quality of workmanship and budget management exceeded my expectations.